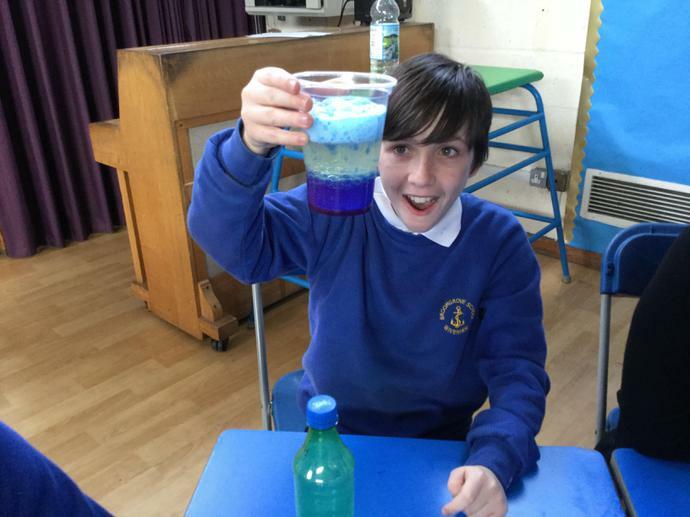 Oily Luminous Lava Lamps - oil and water was mixed in a cup. 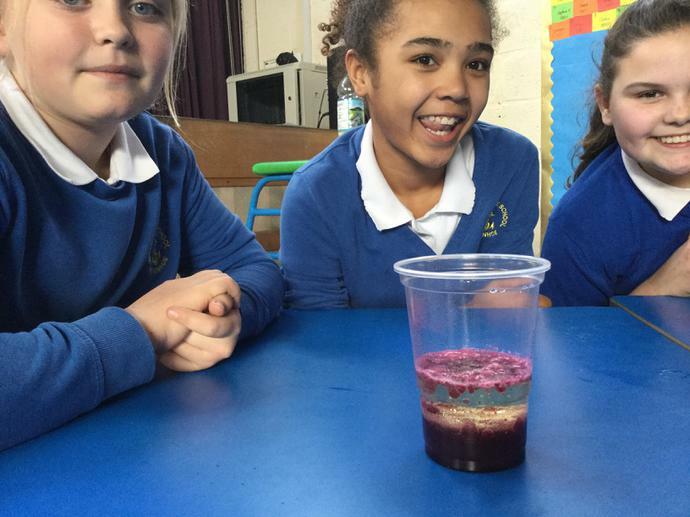 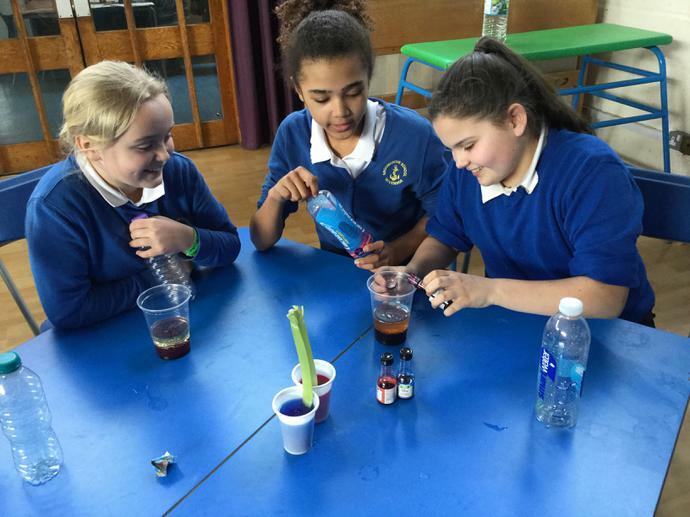 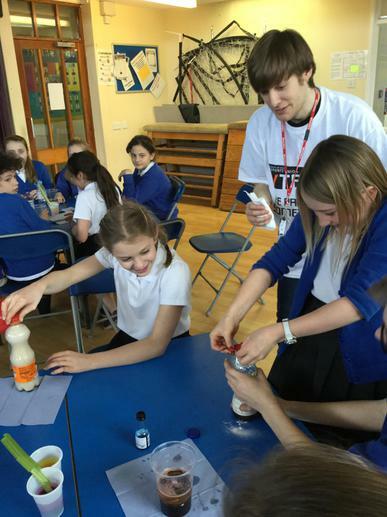 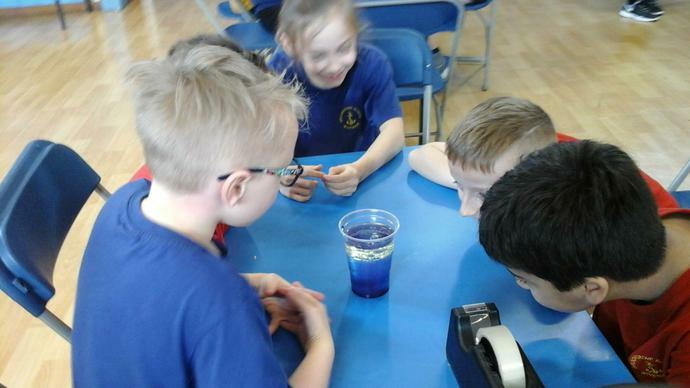 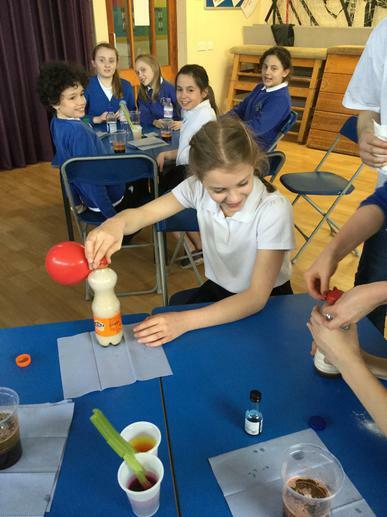 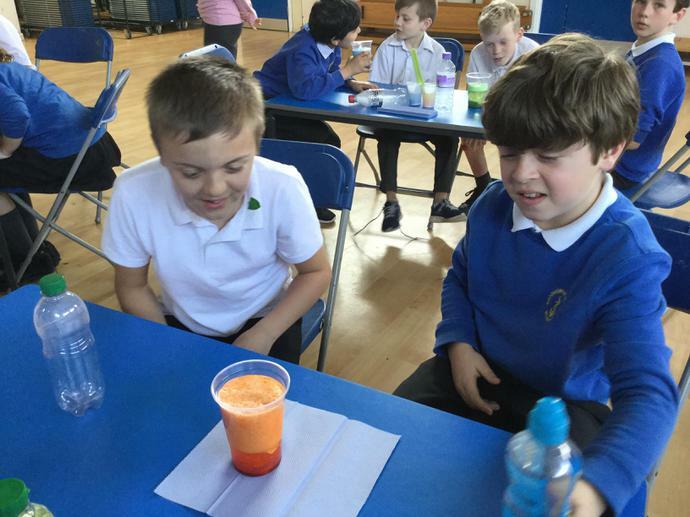 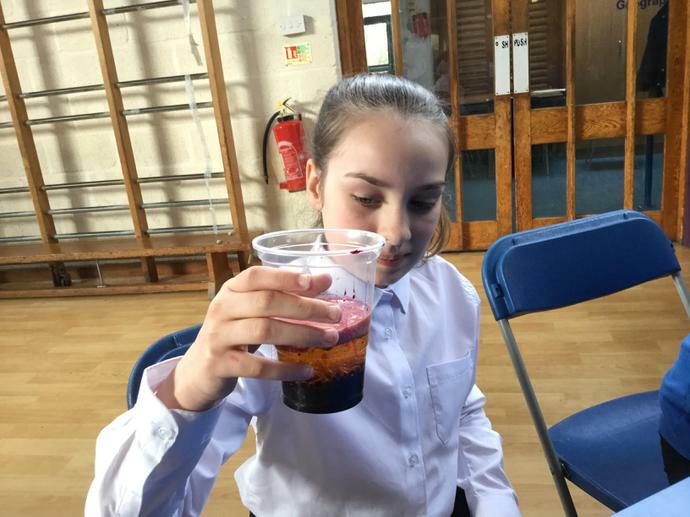 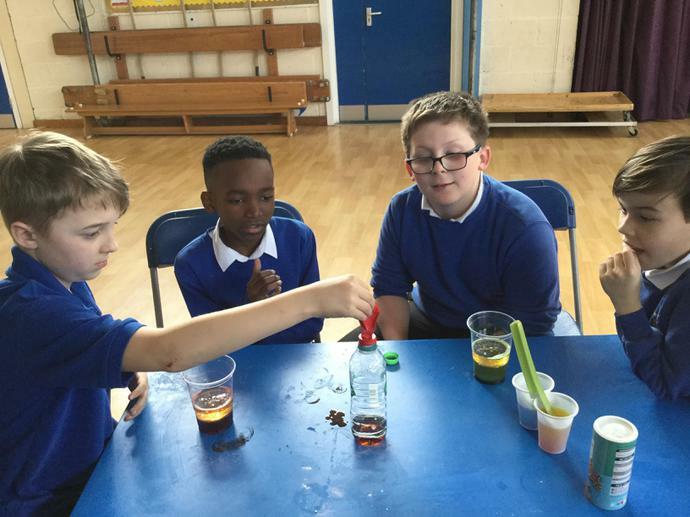 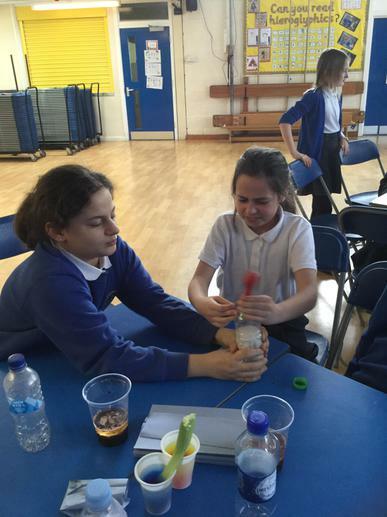 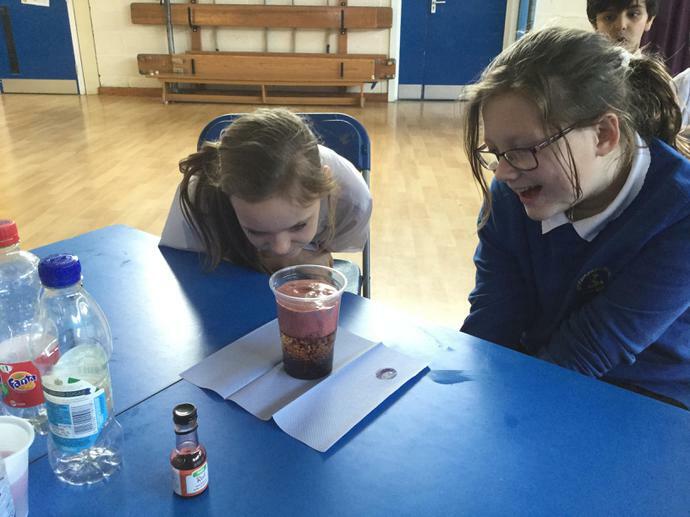 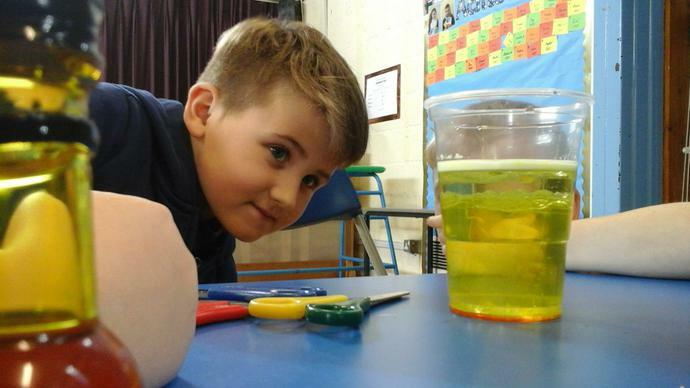 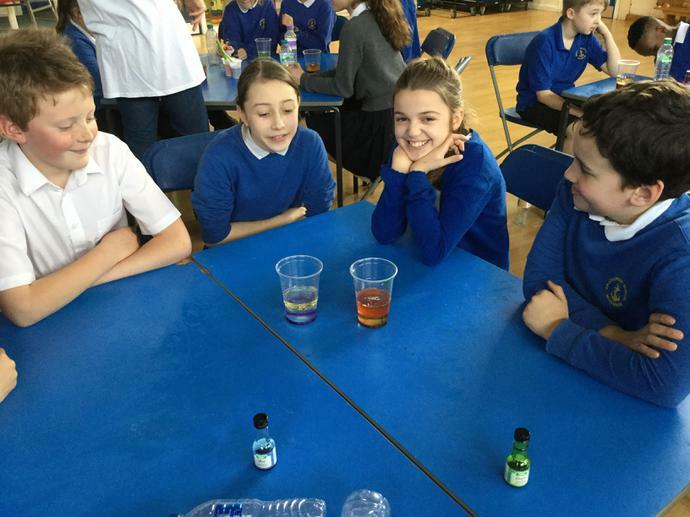 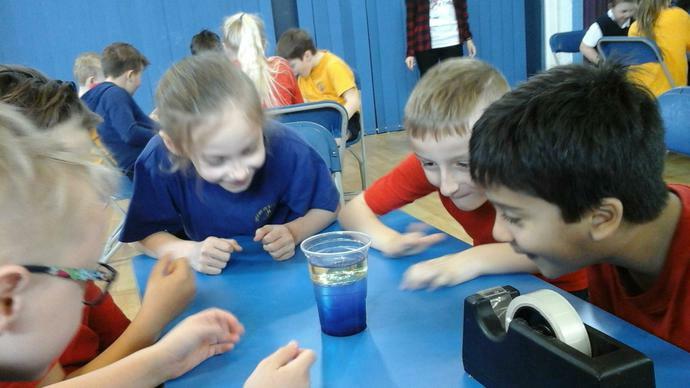 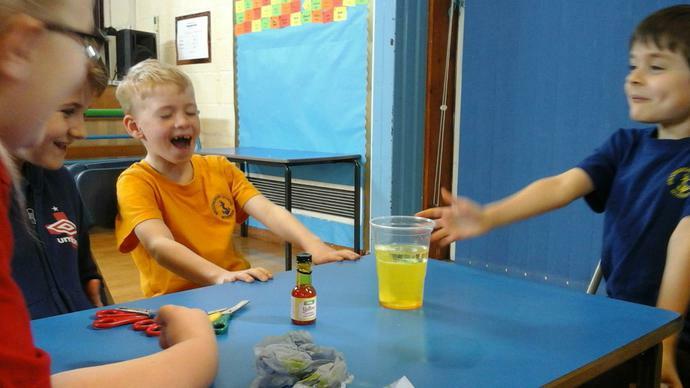 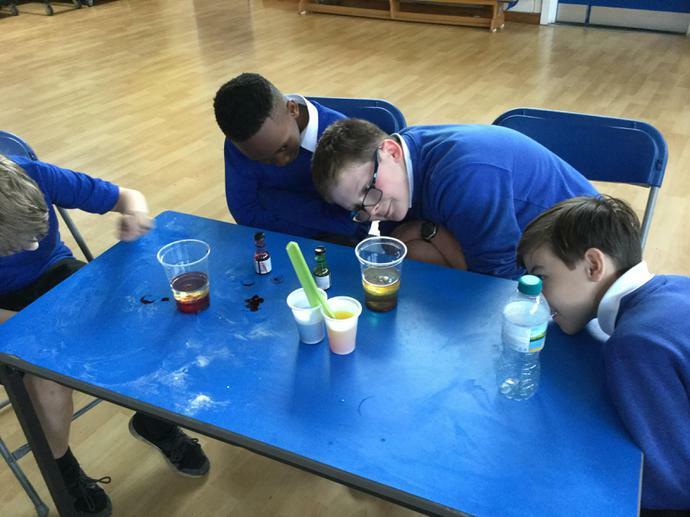 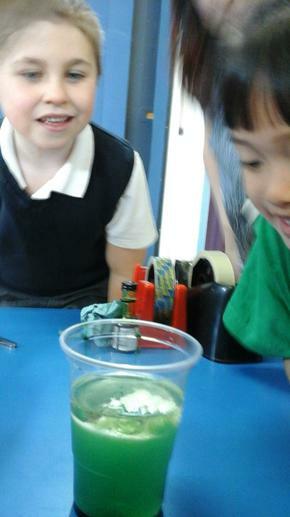 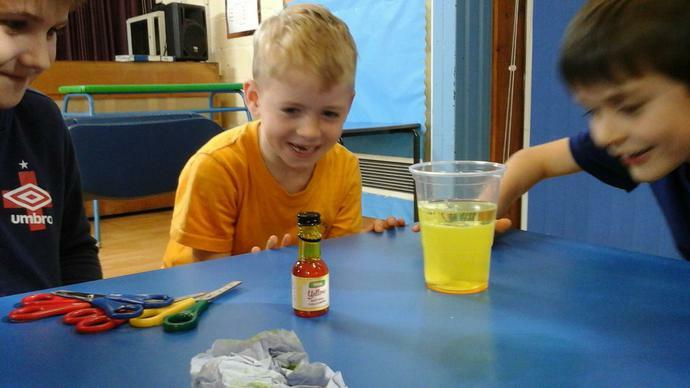 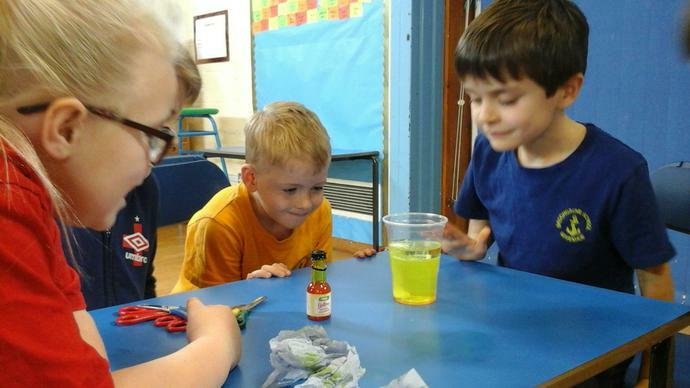 Some food colouring was added and following this, an alka-seltzer tablet was added. 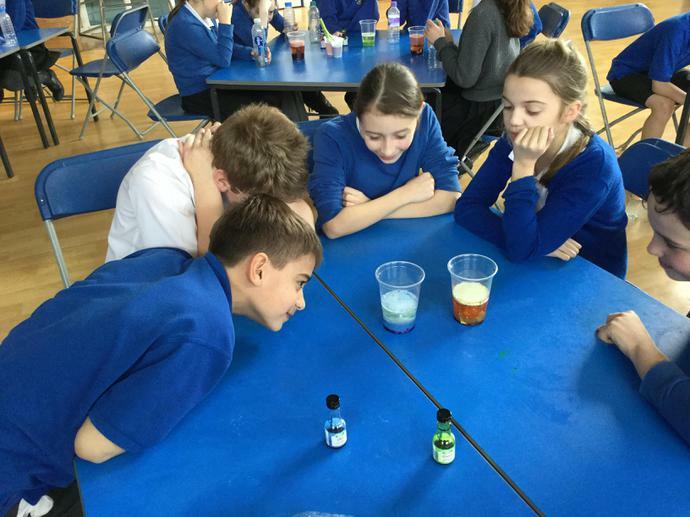 This reaction caused carbon dioxide to be produced. 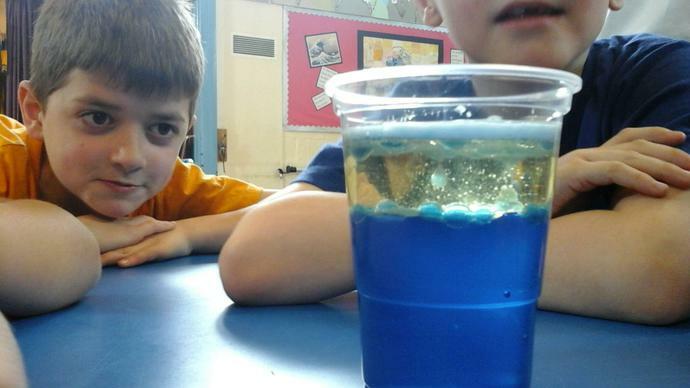 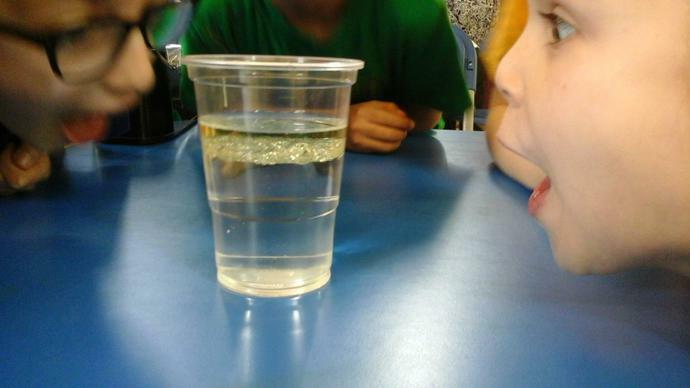 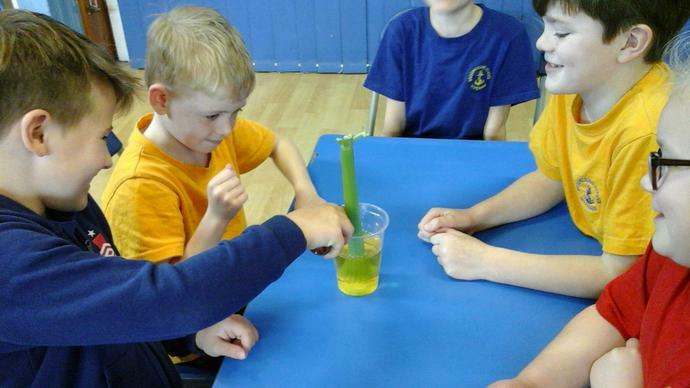 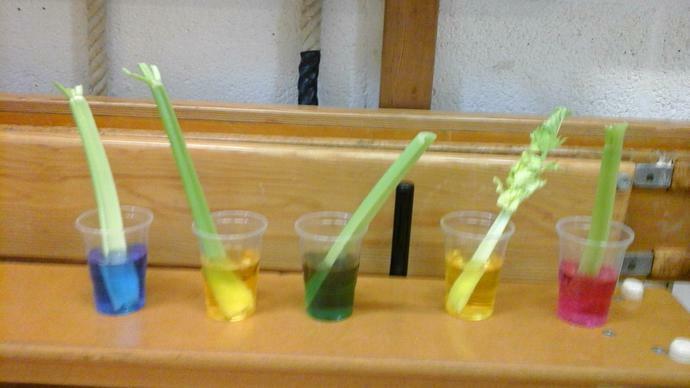 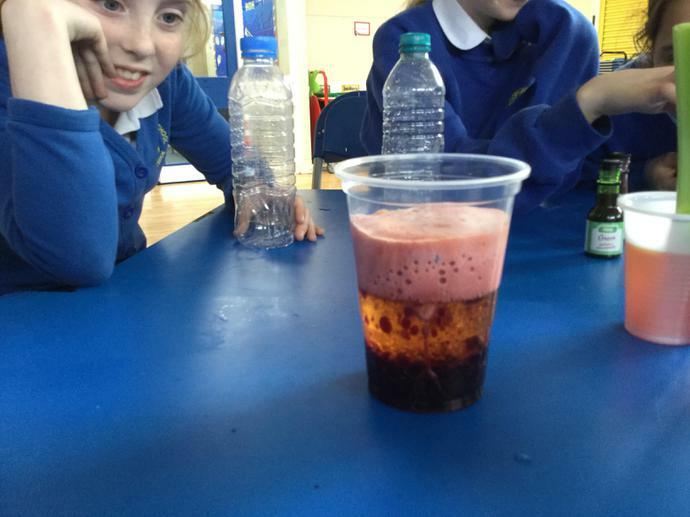 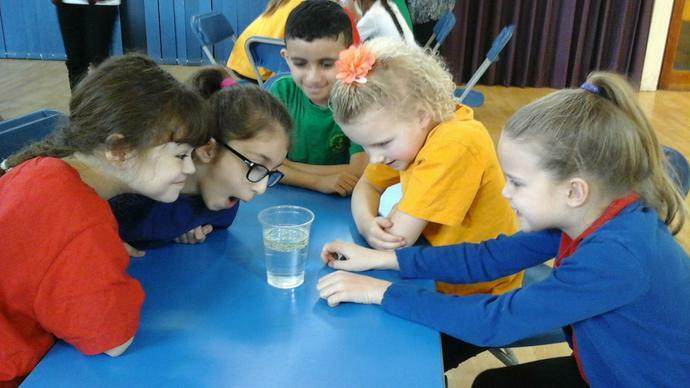 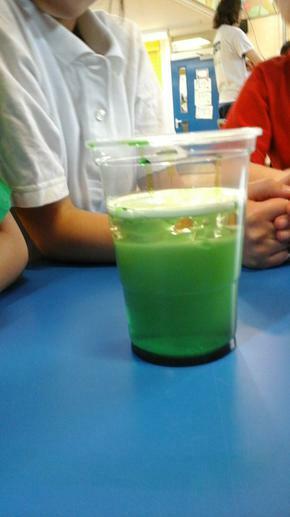 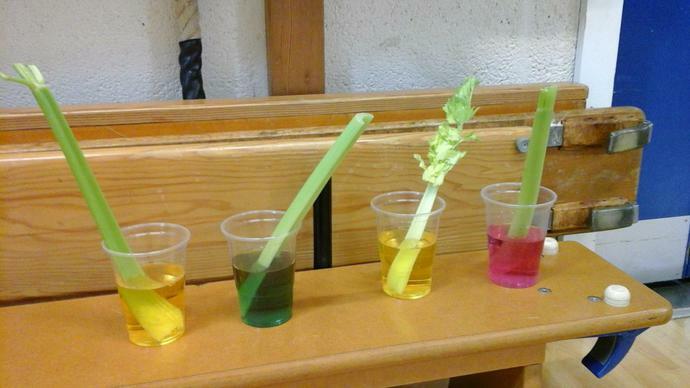 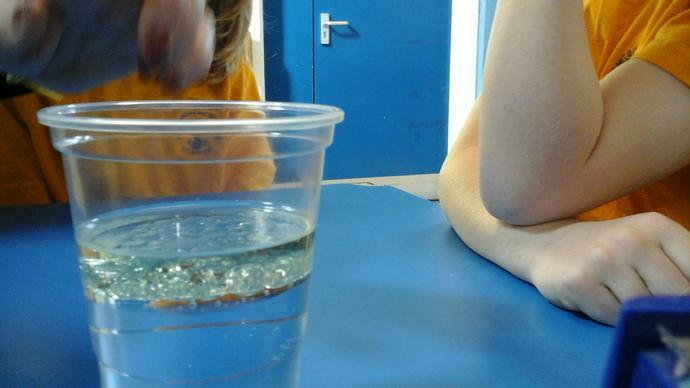 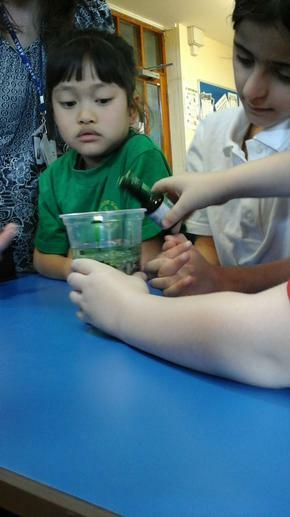 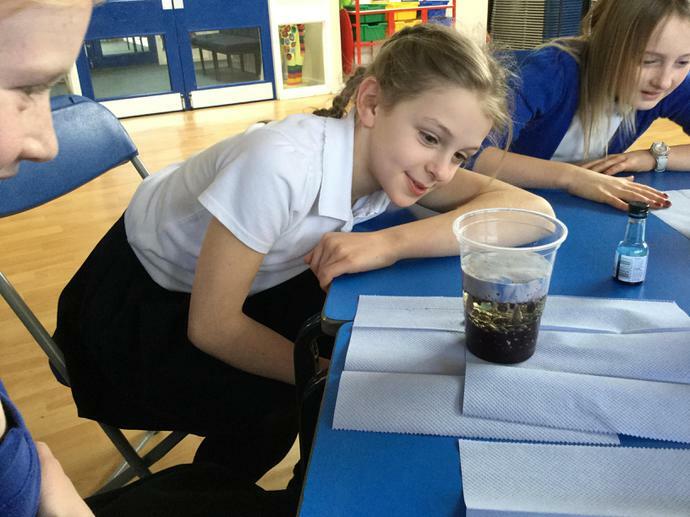 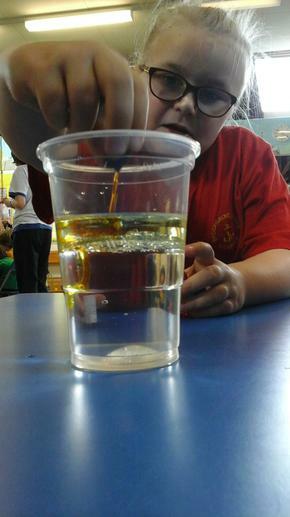 As a result of this, coloured bubbles were produced and some of these bubbles floated to the top while others sunk. 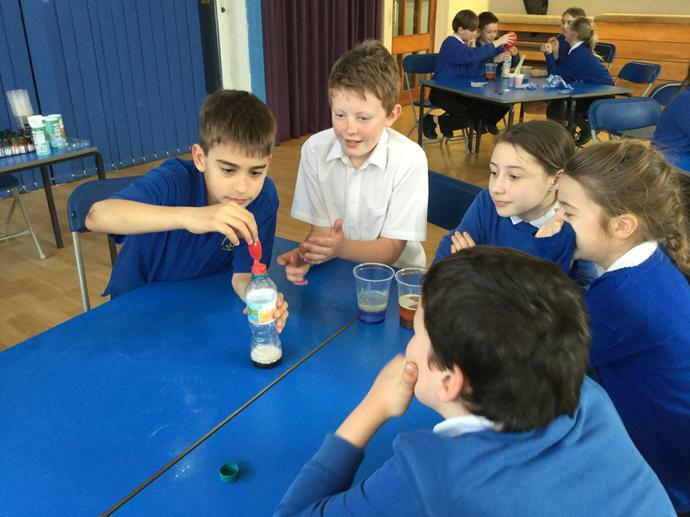 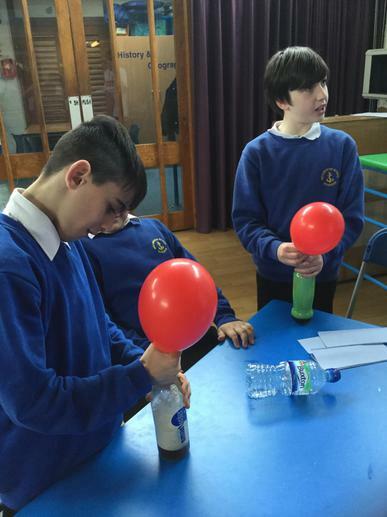 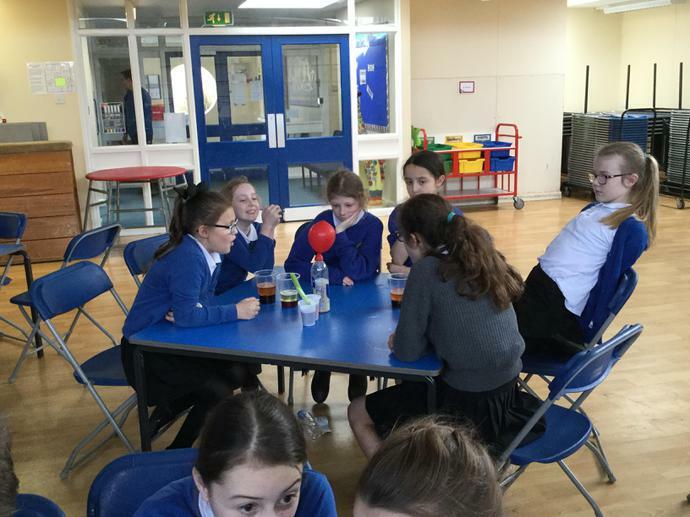 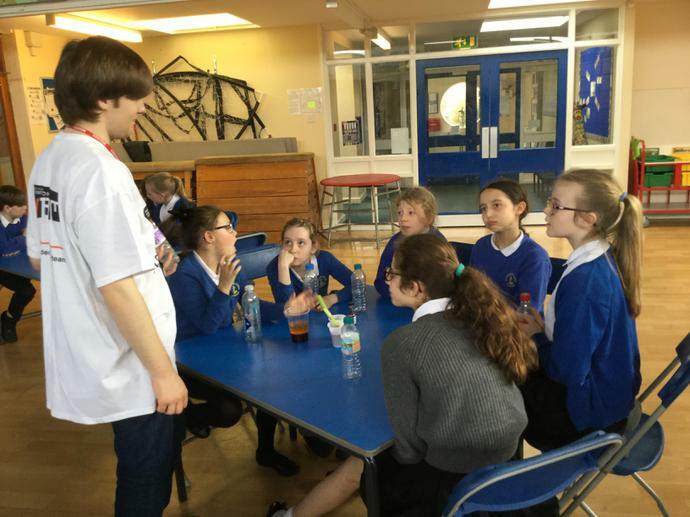 Expanding Gaseous Balloons - vinegar was placed into plastic bottles that students brought from home and some baking soda was placed into the balloon. 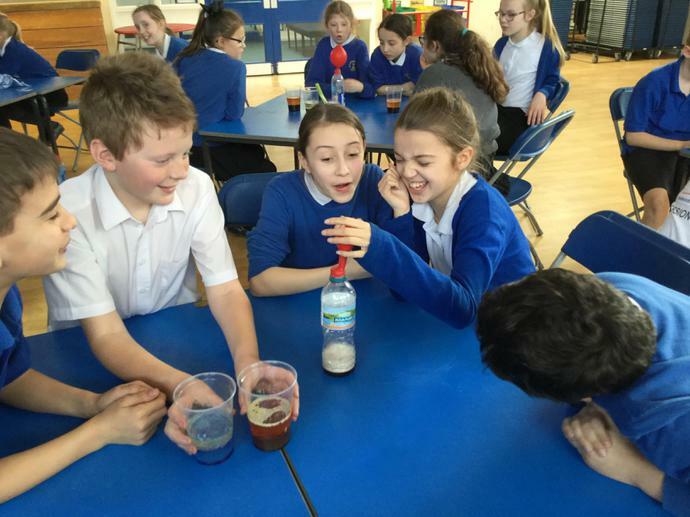 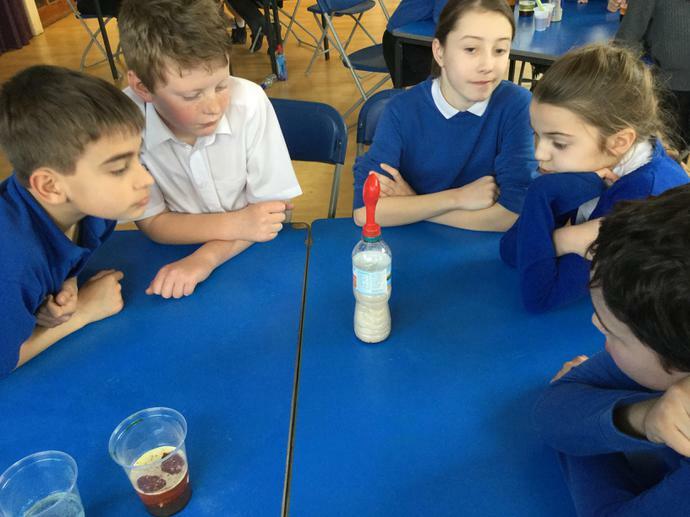 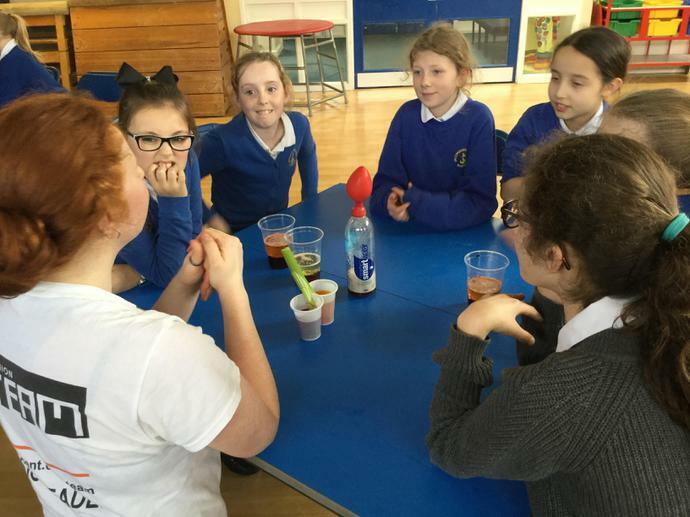 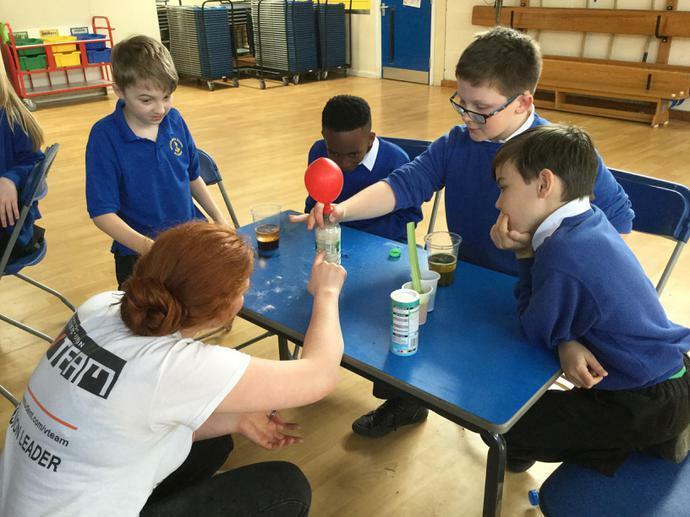 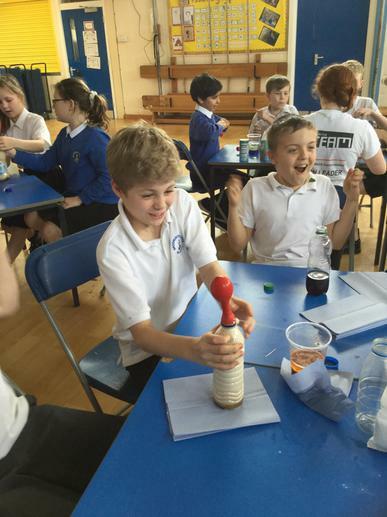 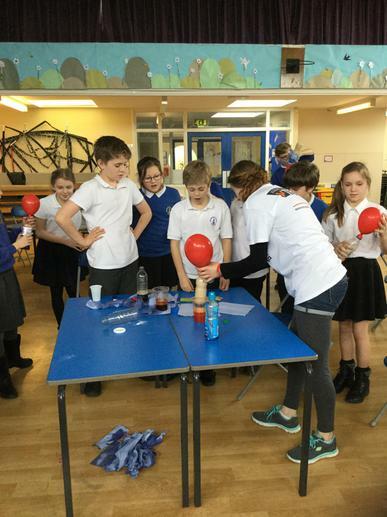 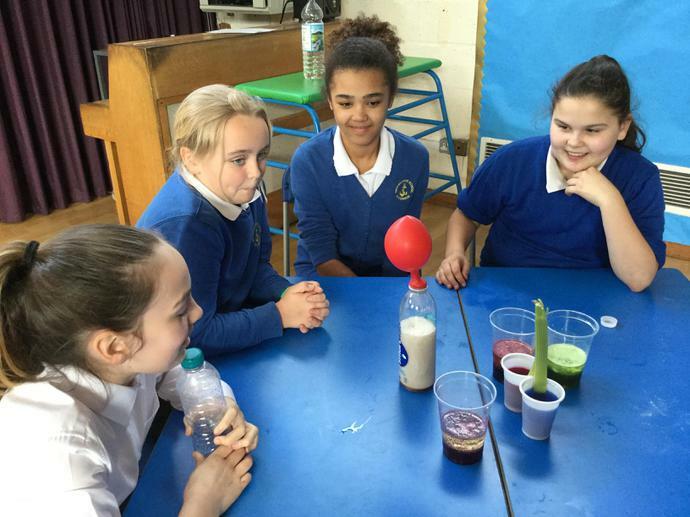 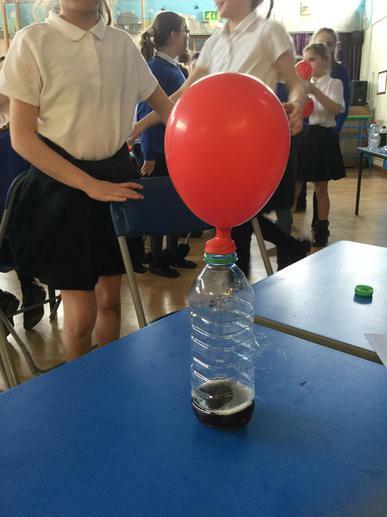 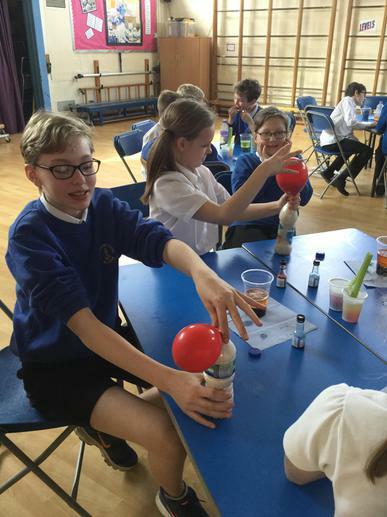 The baking soda was released from the balloon and caused a reaction with the vinegar, As carbon dioxide was produced during the reaction, the balloon expanded. 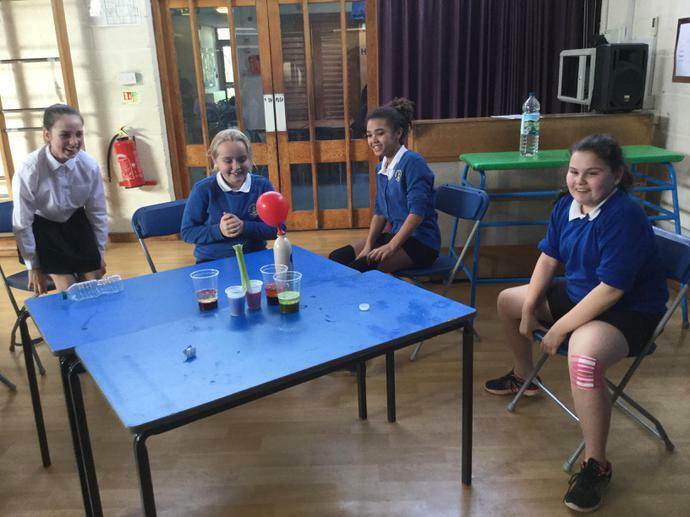 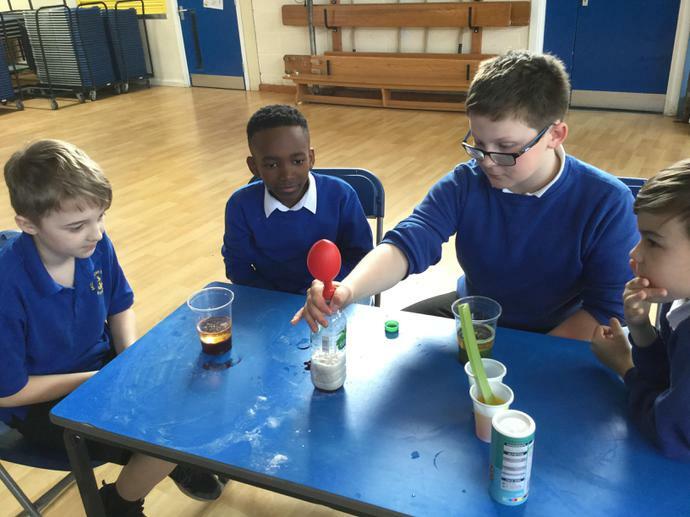 Different students saw their balloons expanding to different sizes due to the different amounts of baking soda and vinegar given to them. 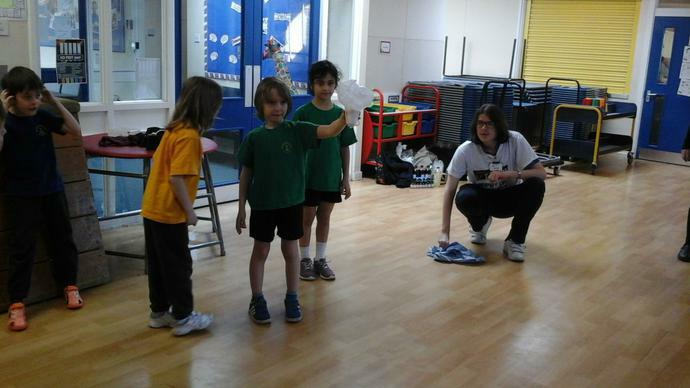 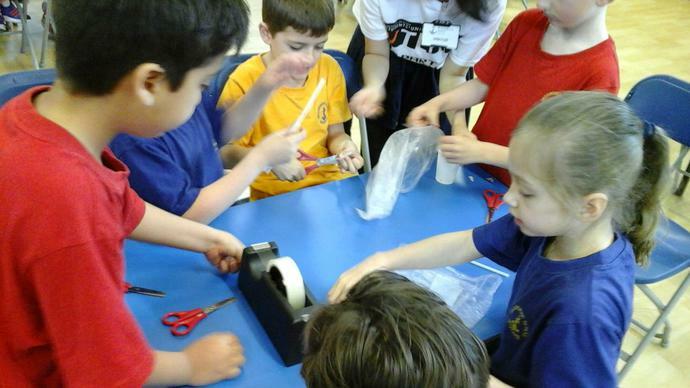 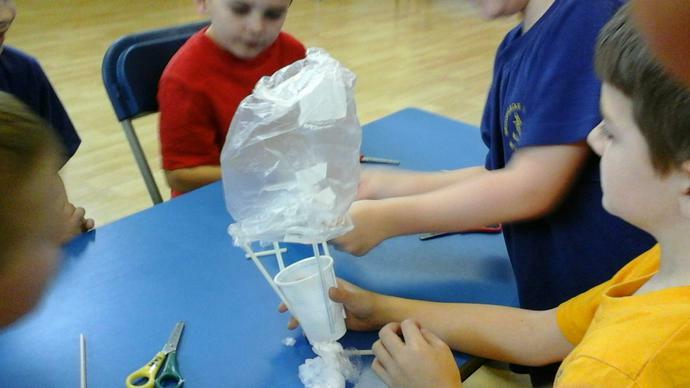 Egg drop - students were tasked to create their own parachute out of everyday items, eg. 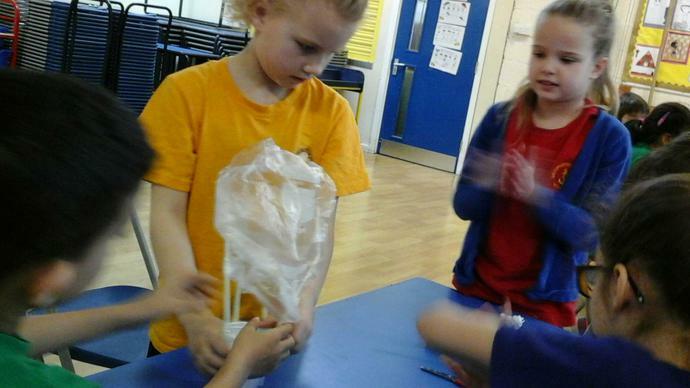 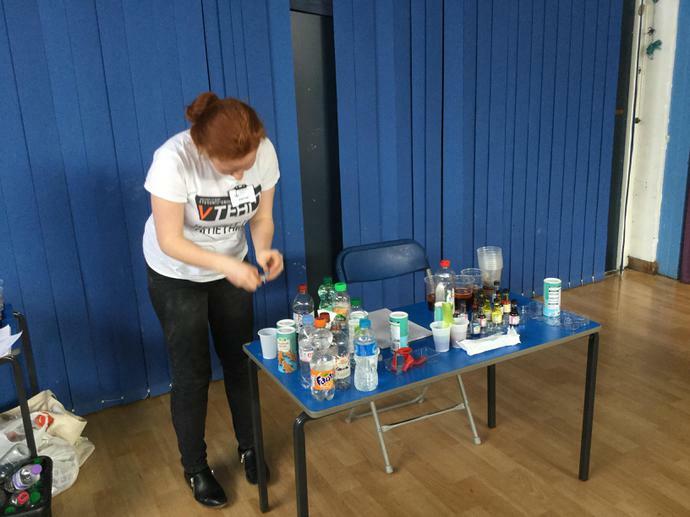 cups, straws, plastic bags etc. 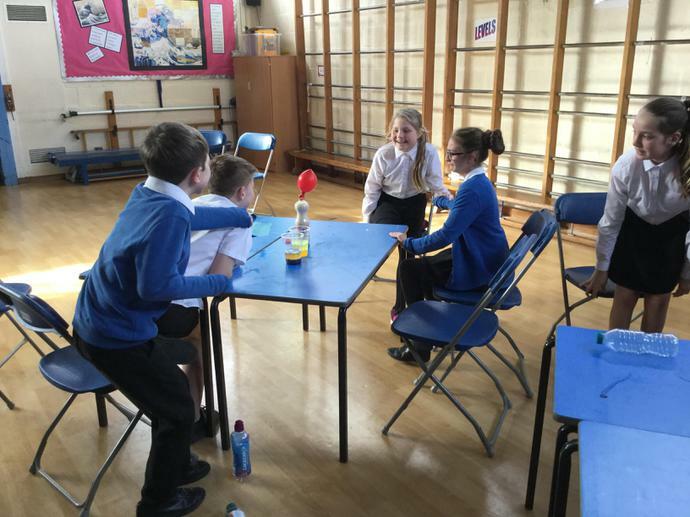 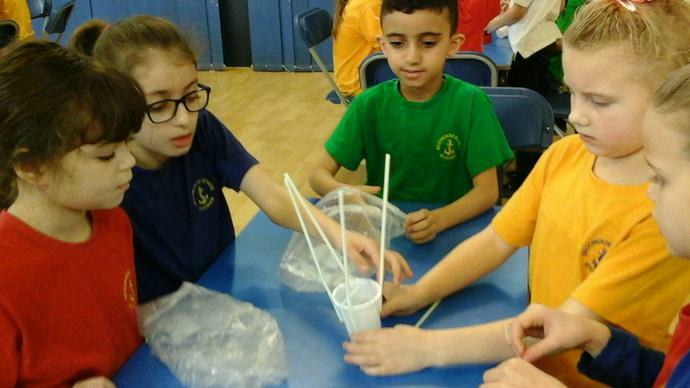 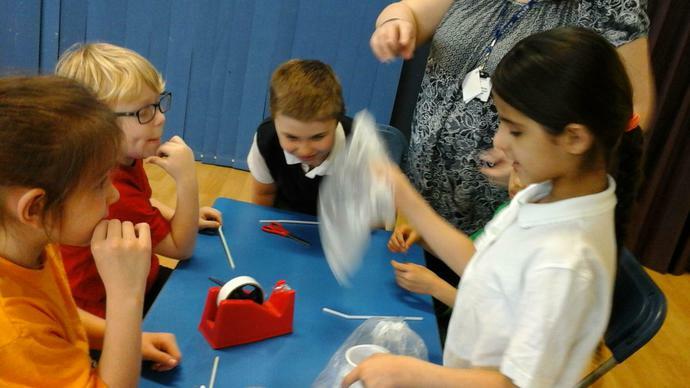 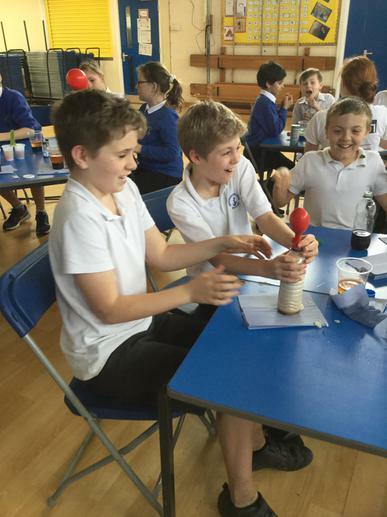 The idea was to test their creativity and teamwork, to standardise the testing and determine which team created the best parachute, one of the volunteers dropped their parachute with an egg as the passenger from a great height.